There’s an ongoing debate about Trump’s endgame on trade. Is he simply a crude protectionist, or is he disrupting the status quo in order to force other nations to reduce their protectionist barriers? I hope it’s the latter, though I fear it’s the former. But one thing I can state with certainty is that the President misreads early American history. Here’s a tweet that he recently sent about how America became a strong and rich country during an era when the federal government relied on tariffs to generate revenue. Our Country was built on Tariffs, and Tariffs are now leading us to great new Trade Deals – as opposed to the horrible and unfair Trade Deals that I inherited as your President. 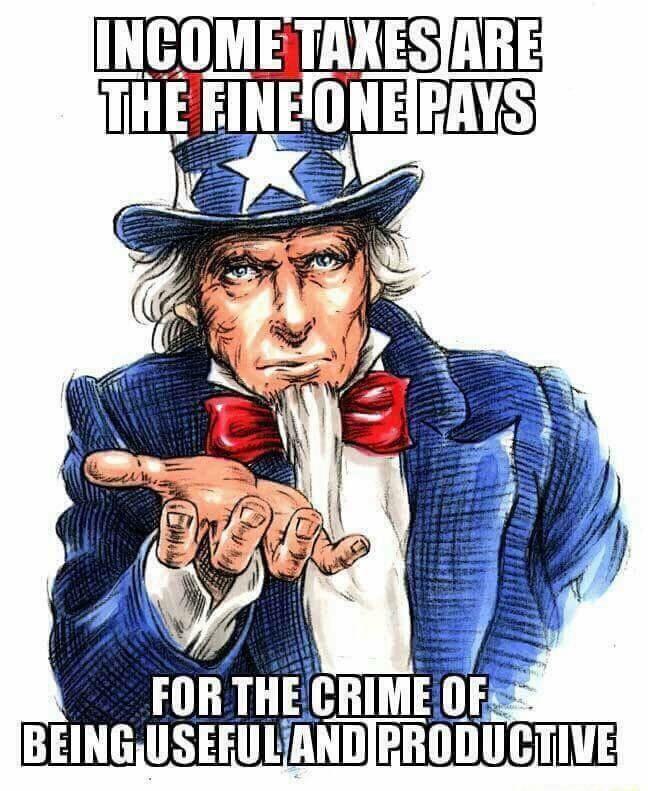 Other Countries should not be allowed to come in and steal the wealth of our great U.S.A. No longer! Trump is partially right. The United States became a rich country in the 1800s when tariffs were a primary source of revenue. 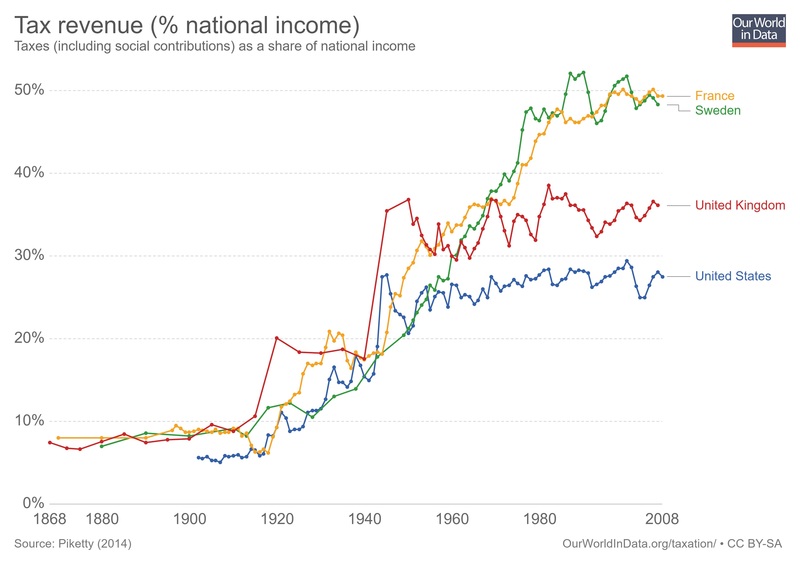 But I have argued that America became rich because of other policies. The federal government was very small, with the budget consuming on average less than 3 percent of the economy’s output. Prior to that awful day in 1913, there was no income tax, no payroll tax, no capital gains tax, no death tax, and no corporate tax. There was no sprawling and intrusive administrative state imposing costly regulations that hinder the private sector. No, the United States was not a laissez-faire paradise in the 1800s. I’m simply making the case that the economy had more than enough “breathing room” to generate ever-higher levels of national prosperity. Meaning the economy grew, not because of tariffs, but because other bad policies didn’t exist. And I’m not the only with this perspective. Eric Boehm’s article in Reason concludes with an offer to trade the income tax for a modest tariff. After the ratification of the Constitution, the very first law passed by the new Congress was the Tariff Act of 1789. It imposed an 8 percent tax on pretty much all imports into the United States, with the revenue from the tariffs used to fund the new national government and to pay down debts accumulated during the Revolutionary War. …those early tariffs did solve a very practical revenue problem for the early United States government. In those days before H&R Block (indeed, before income taxes) collecting taxes was a difficult prospect. It was much easier to post-up customs officials at every port and collect taxes on the physical stuff that came ashore than to send tax collectors to every town and borough across 13 states to collect taxes from the populace—especially since many of those would-be taxpayers weren’t entirely sold on the idea of a powerful central government, and had a recent history of armed rebellion against excessive taxation. …If Trump wants to make the argument that America should use tariffs to raise revenue, like we did in the 1790s, he better have a plan to abolish all federal taxes on income, investments, and labor. If he wants to have that discussion, well, I’ll listen. Brian Domitrovic, writing for Forbes, hits the nail on the head. He starts by agreeing with Trump’s assertion about strong growth in the era of tariffs. 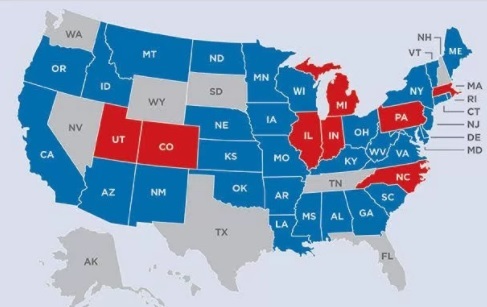 …there is a general sense, among the American public, that previously in history, when the American economy really grew at great rates in the extensive stretch of time before the era of free-trade ideology after 1945, we had tariffs. Tariffs and American prosperity went together. Why not try to get that mix again? …This country’s economy regularly grew at rates double ours today, when the tariff was in force from 1789 until early in the 20th century. But he points out that other factors deserve the credit. 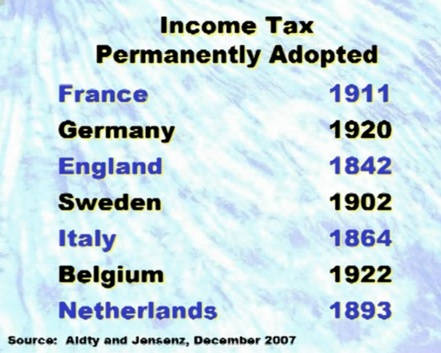 Especially the absence of any type of taxation on income. …there was a condition that obtained in these years that is absent today. That condition is that the tariff was in the main the only form of federal taxation. There was no income or profits tax, no wage tax, no tax on investment gains… When the American economy really boomed under the tariff, over the first half of our history, financiers and entrepreneurs plowed money, energy, and ideas into businesses knowing that all receipts were available to recover costs and make a profit. …A company’s pay rates did not have to exceed the wage needs of the employees so as to cover their income and payroll tax obligations, as today. The money left to a company from sales after costs faced no corporate tax. And there was no inheritance tax. And I’ll add one additional point. One of the good things about tariffs is that they are inherently self-limiting because of the Laffer Curve. As Alexander Hamilton pointed out, the government gets less revenue if trade taxes get too high. Anyhow, the moral of today’s story is that tariffs are bad, but they are less bad than the modern welfare/administrative state. If we want to solve the problems caused by the western world’s second-most-depressing chart, we’ll need to figure out how to reverse all the bad policies that produced the western world’s most-depressing chart. Unfortunately, Trump has been making government even bigger, so the likelihood of returning to a tariff-only tax system has dropped from 0.00005 percent to 0.00001 percent. Last week, I shared very grim data, going all the way back to 1880, on the growth of the welfare state. 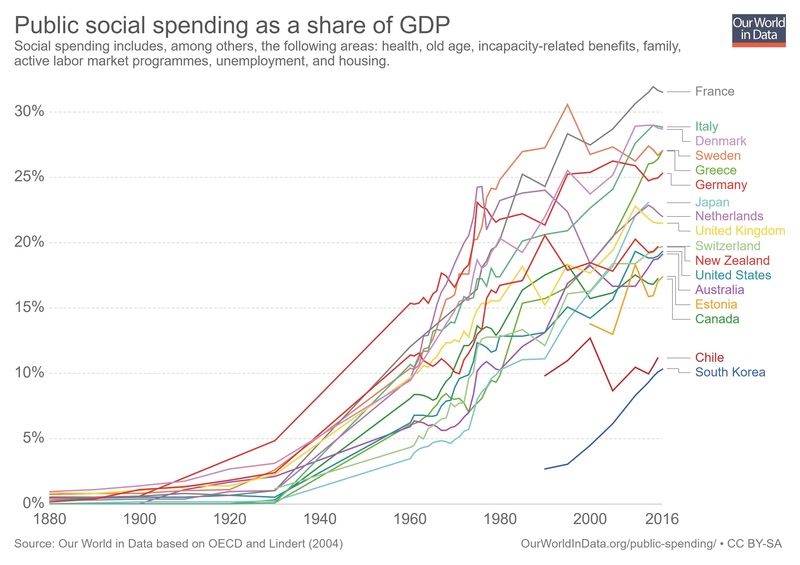 I even claimed that the accompanying graph was the “western world’s most depressing chart” because it showed the dramatic increase in the burden of government spending for redistribution programs. And I didn’t even mention that the numbers likely will get even worse because of changing demographics. Now it’s time for the western world’s second-most depressing chart. Like the first chart, the data for this second chart comes from “Our world in data,” only this time it shows the relentless and astounding (in a depressing way) expansion in tax burdens starting in 1868. It only shows four countries, but other western nations would show the same pattern. What isn’t shown in this chart is that the tax burden used to be reasonable because governments generally did not have income taxes. The United Kingdom was an early adopter, but France, Sweden, and the United States didn’t impose that onerous levy until the 1900s. And it’s no coincidence that the tax burden exploded once politicians learned to exploit that source of revenue. An obvious lesson is that it is never a good idea to give politicians a new source of revenue. 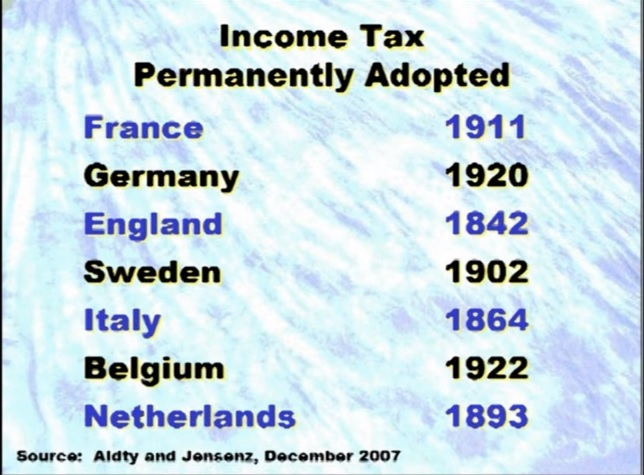 We see in the above chart what happened once nations imposed income taxes. 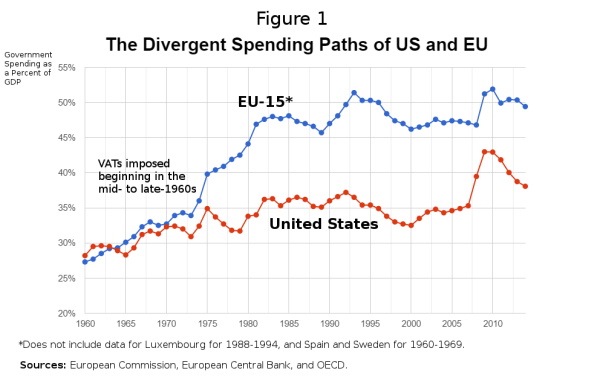 We’ve also seen increases in fiscal burdens in nations that imposed value-added taxes (which is why Americans should fight to their dying breaths before allowing that levy in the United States). 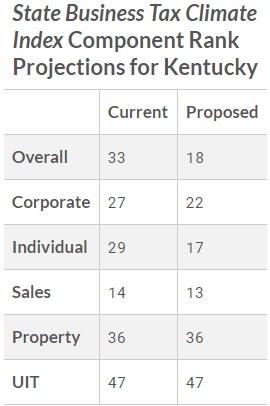 From the perspective of politicians, they like new sources of revenue because that increases “tax capacity,” which is an Orwellian term that describes their ability to grab more money from the economy’s productive sector. 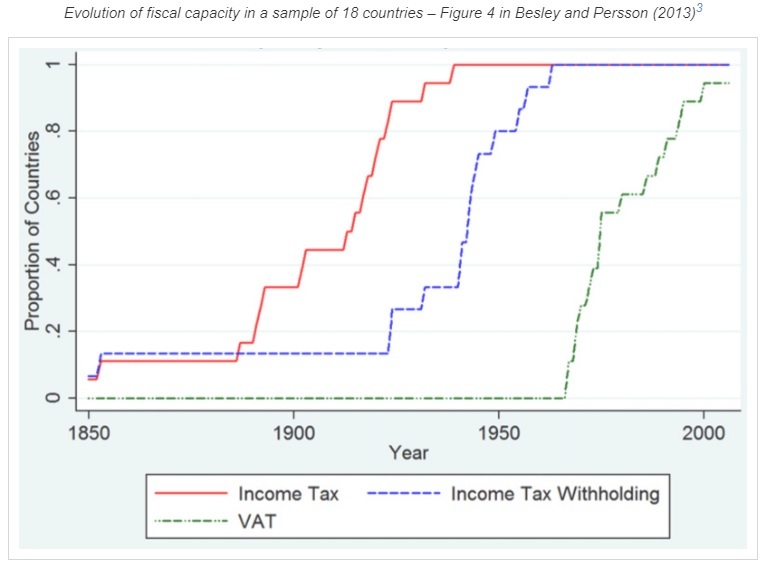 And here’s another chart from “Our world in data” showing how income taxes and VATs (along with income-tax withholding) have become ubiquitous. Very depressing trends. Reminds me of the biased grading of tax regimes from the World Bank. Let’s close with the tiny bit of good news from the website. Here’s a chart showing how top rates for the personal income tax dropped substantially between 1979 and 2002. This happened, needless to say, because of tax competition. 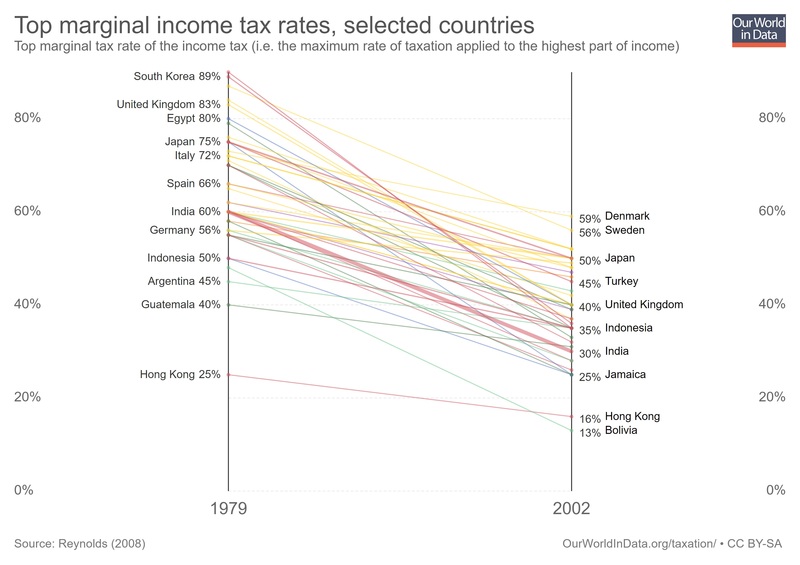 As globalization expanded, it became easier and easier for taxpayers to move themselves and/or their money from high-tax nations to low-tax jurisdictions. Politicians thus were forced to lower tax rates so the geese with the golden eggs didn’t fly away. 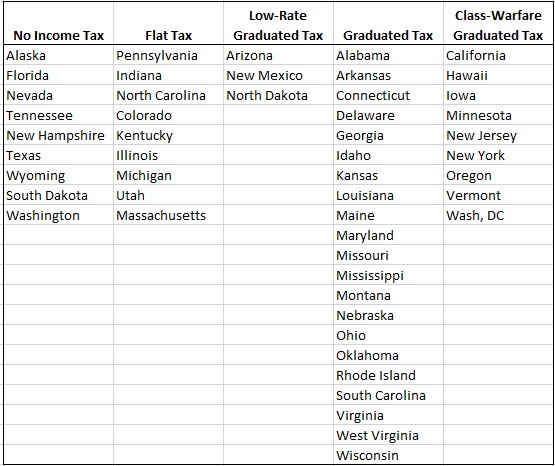 Sadly, updated versions of this chart now show top tax rates heading in the wrong direction, in large part because tax havens have been weakened and politicians no longer feel as much competitive pressure. Every time I write a column criticizing Trump’s protectionism, I get pushback. 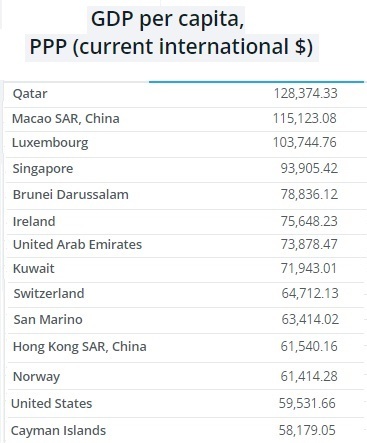 Some of the resistance is from people who genuinely think trade barriers are a good thing, and I routinely respond by asking them to ponder these eight questions or these five charts. But I also get negative feedback from people who point out that the United States imposed significant import taxes in the 1800s, a period when the United States transitioned from agricultural poverty to middle-class prosperity. Doesn’t this prove tariffs are pro-growth? That’s sort of what Brian Domitrovic asserts in a recent column for Forbes. There is an indisputable chronological correlation between the tariff and phenomenal economic growth. From the late 18th to the early 20th twentieth centuries, the United States steadily developed into the most successful economy in the world. Brian’s column explores how trade taxes worked in the early history of the United States, but let’s skip to the part that is relevant to today’s discussion. In other words, the real lesson to be learned is not that trade taxes are good for growth, but rather that an economy can prosper if the public sector is very small. And Brian is right that the federal government used to be only a tiny burden in the United States. Brian even makes the case that government may have stayed small during the 1800s precisely because import taxes were seen as naked cronyism. The quid pro quo the populace made with the tariff is that Congress and its conspirators in business got their favors, but in turn Congress’s realm, the government, had to stay small. Therefore, the private economy was free… Boundless growth at the hands of entrepreneurs and a talented and ambitious workforce built up year after year as Congress got to curry its petty favors on the condition that government stayed limited in size. He also explains that politicians back then were very cognizant of the Laffer Curve. The same principle applies to the income tax today. A modest rate generates lots of revenue, whereas a punitive rate can actually cause a drop in tax receipts. And, speaking of the income tax, the introduction of that awful levy actually gave Hoover and other politicians the fiscal leeway to impose “prohibitive” tariffs…with very bad results. After the income tax was put in place in 1913, the tariff shed its revenue purpose and became exclusively a vehicle for cronyism. Therefore it got very high—so high, in 1930, that…the…system was ruined and the result was the Great Depression. For what it’s worth, I think there were lots of other bad policies from Hoover and Roosevelt that caused – and then exacerbated – the economic damage of the 1930s, so high tariffs don’t deserve all the blame. But let’s not digress from our main topic of whether trade taxes can be justified. Brian’s column doesn’t say that tariffs are good, but he does point out that such a system was only capable of financing a very small government. And that meant the private sector had lots of breathing room to operate. But a “sin of omission” is that he also could have elaborated on the economic benefits of having no income tax. During the 1800s (with the exception of Lincoln’s income tax during the Civil War and an income tax in 1894 that was declared unconstitutional in 1895), there was no personal income tax. And no corporate income tax. And no payroll taxes. Or death tax. Or capital gains tax. Dean Clancy highlighted these benefits when considering the conditions that would be necessary for him to support trade taxes. I sort of agree. 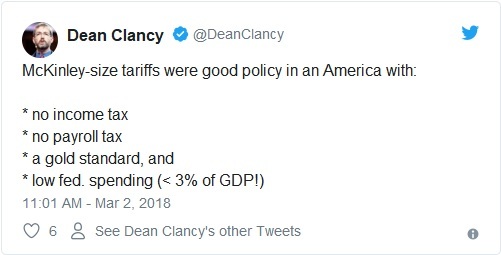 But I hope Dean would agree to a friendly tweak to his tweet, so that it read “McKinley-size tariffs were a less-worse option because of…”, and then list the polices that actually were good, such as no taxes on income and very small government. Sadly, I don’t see any practical way of unwinding all the bad policy of the past 100 years. So the case for trade taxes is very similar to the market-friendly case for a value-added tax. Yes, there is a theoretical argument to replace all income taxes with a VAT, but it’s not realistic. Likewise, I’m open to the argument that higher tariffs might be acceptable, but only if someone first shows me a practical plan to 1) shrink the federal government back down to what the Founding Fathers envisioned, and 2) get rid of the IRS and all taxes on income. P.P.S. 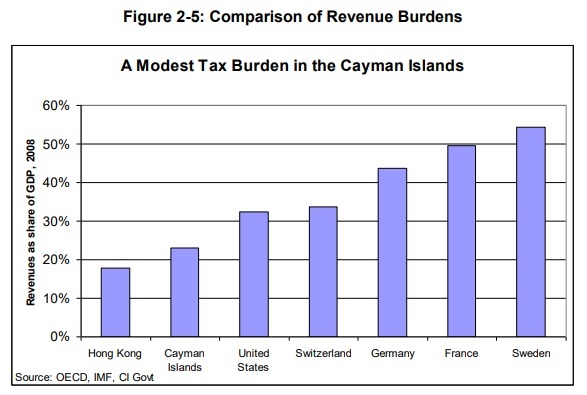 The Cayman Islands is the closest example of a successful modern economy that finances a big chunk of government with import taxes. But that example is somewhat limited since almost all goods are imported. For such an economy, tariffs are basically the same as a sales tax. 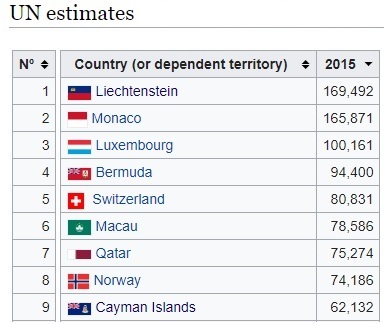 For what it’s worth, I would argue Cayman’s fiscal system has more in common with Monaco today than with the United States in the 1800s.